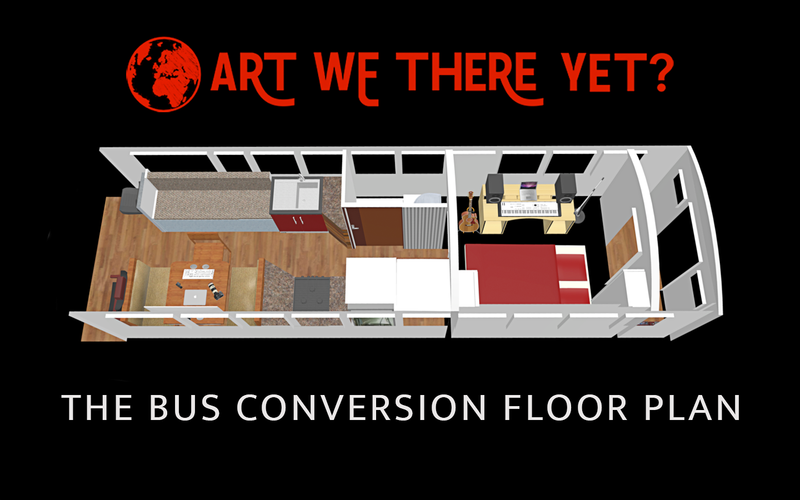 The Art We There Yet Studio is Funded! | Art We There Yet? The Art We There Yet Bus Trip Across the Americas is a go! We reached 104% of our crowd funding goal and are still going (which helps a lot), so now we have enough funds to buy a school bus and convert it into an art and recording studio on wheels! The campaign was an amazing and humbling experience, and now we’re digging right into the next steps. Step one is, of course, the bus. We know we want a 48-65 passenger bus with an International DT466 engine with Allison transmission. The tires have to be new or almost new, no rust and damage to the chassis. Yesterday we saw a promising option, so crossing our fingers that it may be the one! Wish us luck as we search for the bus. This is the most important step – without a reliable engine and solid body, we won’t get that studio very far! Go for it! Good journey!